Perth's Sam Kerr is the W-League's first marquee player. Matildas superstar Sam Kerr found her magic touch just when it was needed as Perth somehow conjured three goals in the final eight minutes on Sunday to secure an extraordinary 4-4 W-League draw with Canberra United. Kerr's maiden outing as the competition's first marquee player was shaping up as a frustrating one, with Canberra seemingly cruising to a comfortable home victory against a Glory side down to 10 players. Kerr set up Alyssa Mautz for what seemed a consolation goal, but 16-year-old rookie Leticia McKenna set up a grandstand finish by netting with a spectacular volley. 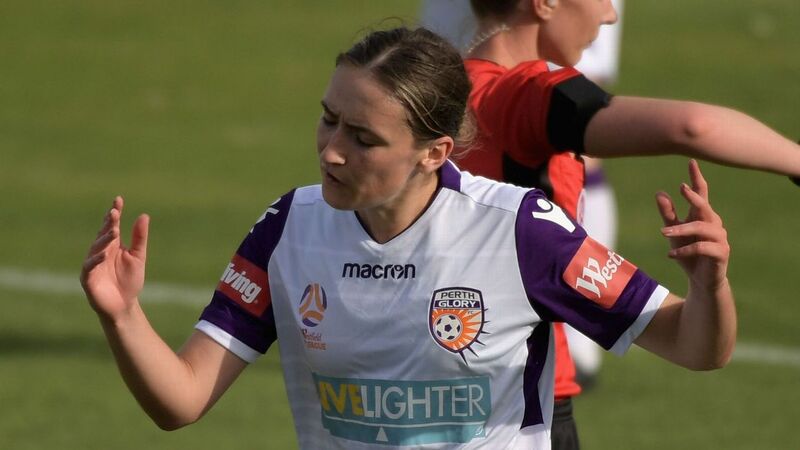 Typically, it was Kerr who had a hand in the pivotal goal of the match, her low ball into the area steered into the net by unlucky Canberra captain Rachel Corsie in the final minute of regular time. A win would have put Canberra alone at the top of the standings after an impressive opening-round victory over Melbourne City. 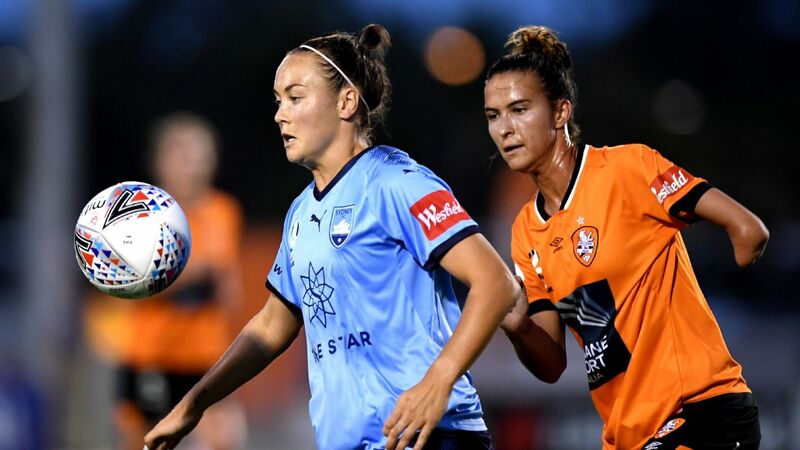 Kerr went into the match having netted seven in her past five W-League games and looked lively in tandem with fellow forward Rachel Hill during the opening half. But Glory defender Sarah Carroll was sent off for a second caution within minutes midway through the second period leaving a comeback seemingly impossible. Kerr's frustration was evident when she collected a yellow card for dissent, having sat out the opening week with a carry-over suspension. Perth started brightly and went ahead early thanks to an own goal. But the visitors conceded a penalty virtually from the restart which Refiloe Jane converted for the first of two spot-kicks scored by the South African. Compatriot Rhoda Mulaudzi put United ahead on the half-hour mark, and they went further clear as Maria Jose Rojas netted with a spectacular effort on half-time. Last season's premiers Brisbane collected their first win, with a smart first-half free kick from Carson Pickett the difference between the two sides. 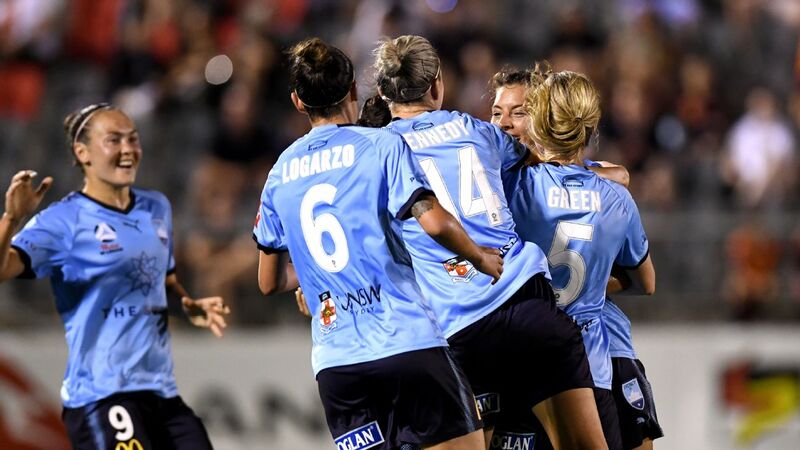 The fullback squeezed her effort inside the near post for a second goal in as many matches, but the Roar were indebted to busy goalkeeper Mackenzie Arnold for all three points at Marconi Stadium. Champions Melbourne City rebounded from their opening-round loss to beat Sydney FC 3-1 in Friday's grand final rematch. New American signing Jasmyne Spencer became the first player to score a hat trick in the club's four-season history as City found form despite missing several players. Melbourne Victory proved they would be a force this campaign by claiming a hard-fought 2-1 win on Thursday over semifinalists Newcastle.